Hello Everyone with St. Catharines Real Estate Investment Properties!! Me: Robin, what’s daddy’s costume? Me: no, that’s your name, what is daddy’s costume? Robin was Batgirl for Hallowe’en. She’s not into dolls or princesses for now and I’m hoping it stays this way. I’d rather her role models be those who are heroic and selfless. We do our best to lead by example as well as we are quite frugal, squirreling away as much capital as possible in order to purchase our next investment property. New Interactive Zoning Tool!!! As many of you Hamilton real estate investors have experienced, the old zoning lookup function was slow and terrible. It was so bad, the city took it down and instructed us real estate investors to call in to the Planning Department. Below is the press release from the City of Hamilton’s Economic Development Office who is a key resource for all of you with Hamilton real estate investment properties. Below is a screen capture of Realtors Association of Hamilton-Burlington office at 505 York Blvd. Note the pop-up window showing details of the property and those tiny arrows in the top right of the window, in this example, we see page 2 of 3 of the property’s details. On page 3 of 3 there is a link to the zoning by law specific to the subject property’s zoning code, saving you from having to look it up yourself. Thanks for reading and happy St. Catharines real estate investing everyone! 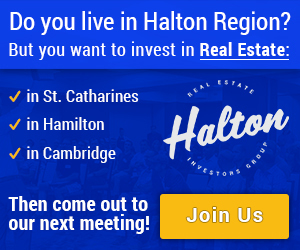 Join hundreds of other St. Catharines, ON investors who are already enjoying free weekly updates, articles and videos! Mike Chipman on Invest in St. Catharines Webinars! Emely Alfaro on Invest in St. Catharines Webinars! 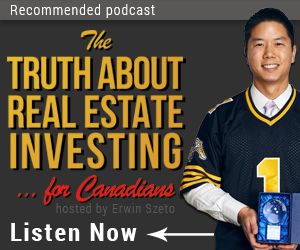 Erwin on Invest in St. Catharines Webinars! Matt on Invest in St. Catharines Webinars! Join hundreds of other St. Catharines, ON investors who are already enjoying free weekly updates, articles podcasts and videos!